The last ten years haven’t exactly been filled with fun and excitement. There have been three playoff appearances, and a lot of just awful seasons. Here’s how they went in order. I’m sure most of you have seen the ten year challenge on Twitter or somewhere else, so I’m gonna give it a shot here. 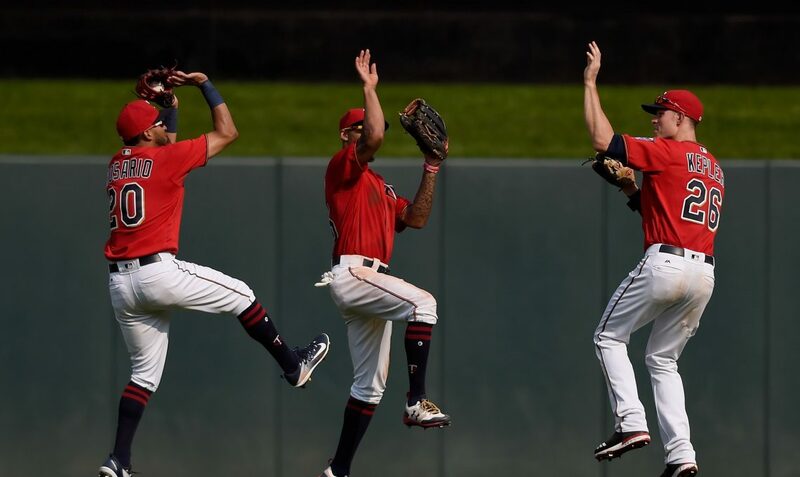 Obviously these weren’t the best ten seasons in Twins history, but everything looks so much different than ten years ago so let’s take a look. Obviously there’s a pretty huge difference there with no players left from that team (Only Span, Gomez and Liriano still playing.). There’s also one big difference. Neither lineup has Joe Mauer. I think the Twins team as of right now has officially entered into the new era of analytical baseball. Back in 2009, Twins baseball was different. There was a different manager, different front office and a different style of play. The new leadership (Falvine and Baldelli) will make sure the Twins are ready for 2019 baseball. Let’s take a look back at the accomplishments and greatest moments from over the years. 2009: Both Jason Kubel and Michael Cuddyer hit for the cycle. Joe Mauer, Joe Nathan and Justin Morneau make the ASG. Joe Mauer won his third batting title (.365 AVG), the gold glove, silver slugger and the American League MVP Award. The Twins won the division in game 163. 2010: The first season in Target Field. New uniforms were introduced. Joe Mauer and Justin Morneau made the All Star Game. Ron Gardenhire named AL Manger of the year. Joe Mauer wins gold glove and silver slugger. Twins win the division. 2011: Bert Blyleven (Twins pitcher and broadcaster) inducted to Hall of Fame on July 24th. Francisco Liriano throws no hitter on May 3rd. Michael Cuddyer represented the Twins at the All Star Game. Jim Thome hit home run number 599 and 600 on August 15th. Joe Nathan finished with 260 career saves, anew Twins record. 2012: Twins are no hit by Jered Weaver on May 2nd. Joe Mauer is the Twin to make the All Star game. Twins retire Tom Kelly’s number 10 on September 8th. Josh Willingham wins the silver slugger award. 2013: Ok I literally couldn’t find anything that recorded good things in 2013. I swear Twins fans just died off of were extremely depressed in that horrible year. Read this for an insight to life in 2013. 2014: The All Star game is announced to be in Minnesota. Glen Perkins and Kurt Suzuki made the All Star game. The longest 9 inning twins game was played in a 13-4 loss to the tigers….yup. Phil Hughes finished one out away from a $500,000 bonus. Ron Gardenhire was fried and Paul Molitor was hired as his replacement. 2015: Molitor makes his season debut and gets his first win on the fourth day. Eddie Rosario hit a home run in his first major league at bat. Brian Dozier hit two walk off homers before the All Star game, then he hit one in the ASG. Twins finished over .500 for the first time since 2010. 2016: Ok so a year after they went 83-79, the twins went and lost 102 games so let’s skip this part…..ok first watch this masterpiece. 2018: Joe Mauer. The hometown kid played his final game in a Twins uniform. Soon I’ll be writing about him being inducted to the Hall of Fame. Again, after a successful season everything went wrong for the Twins in 2018. Read about that here. The Twins just had an overly frustrating season riddled with injuries and underperformance. Will the twins sign a big name free agent? Possibly. Here is why they will bounce back in 2019 and make a fun conclusion to the 10 year challenge. Alright Twins fans, this took a lot out of me and was actually quite depressing to write for like 4 of the years so do me a favor and retweet/follow me on Twitter @EverydayTwins. Thank you for reading my ten year challenge. I would love to do more interactive articles with fans, so go follow my Twitter. (@EverydayTwins). If you enjoyed please leave a like and share with your friends. If you disagree or have any questions please leave a comment or ask me on Twitter. Also, The Twins will win the AL central.